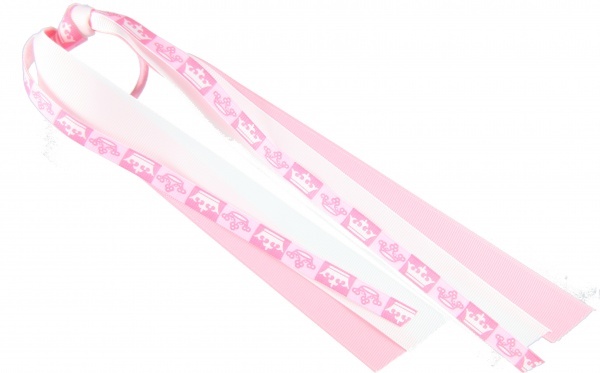 Triple layered grosgrain ribbons of Princess crowns, Pink and White colors. They are 9 inches long and 7/8 inches wide attached in a French knot to a ponytail holder. This triple threat will look great in her hair.